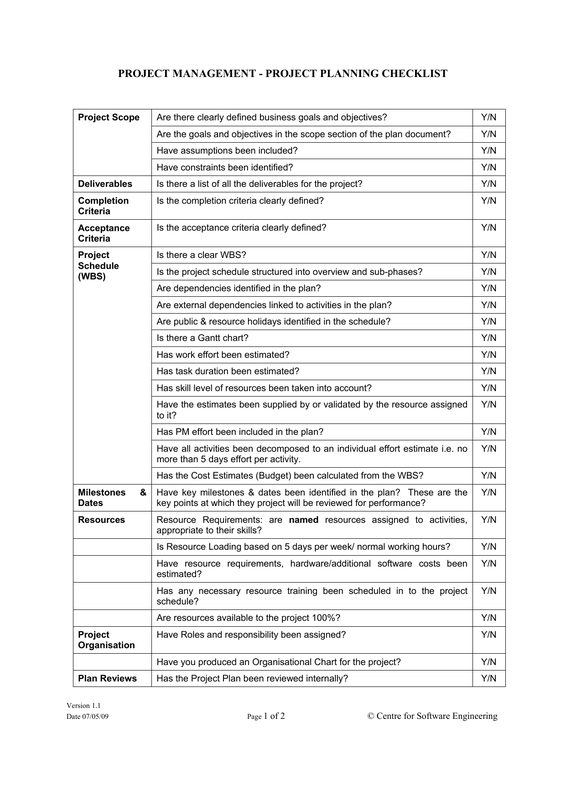 Download the Project Checklist Template that has been created specifically to keep project planning and execution on task. This checklist will address everything from initial planning and milestones to project organization and more. At this stage, simply read the questions and answer by circling Y or N for yes or no. This section of the project checklist addresses several aspects of need within the project proper. Have key milestones & dates been identified in the plan? These are the key points at which they project will be reviewed for performance? This section addresses resource requirements, how many people, assigning people according to their specific skills, etc. Answer all questions with Y or N.
This section asks about assigning roles and Organizational Chart production, answer with Y or N.
This section also provides a block where other relevant information can be noted. Once you have answered the questions and studied the answers, you will begin to have an opportunity to implement the project completely.